Does anyone out there change their furniture as much as I do? I'm pretty sure I'm always looking for something new. Only a few weeks back I redid this room. My daughter moved out and the den was once again mine. After living with it for a few weeks and already changing some of the furniture, I decided the coffee table wasn't working. Yes, the coffee table I just bought. And now I will sell. The room is very small and the large round table was in the way. I searched around for a while for a smaller coffee table and then I had an idea. 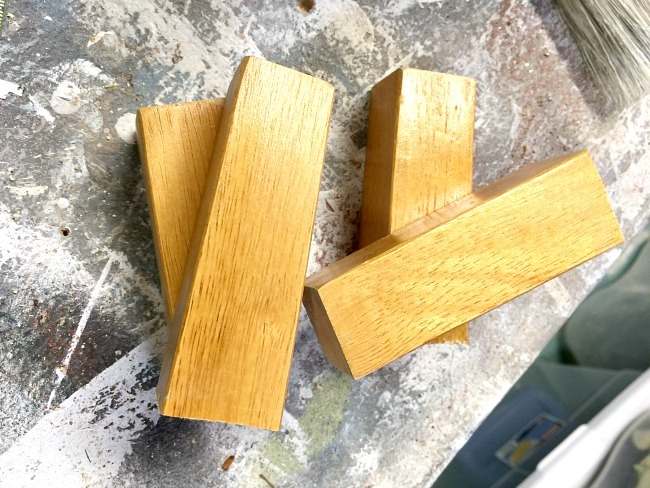 The table was kind of a painted mess and a little bit too tall so I cut off about 3 1/2" off the bottom of each leg. 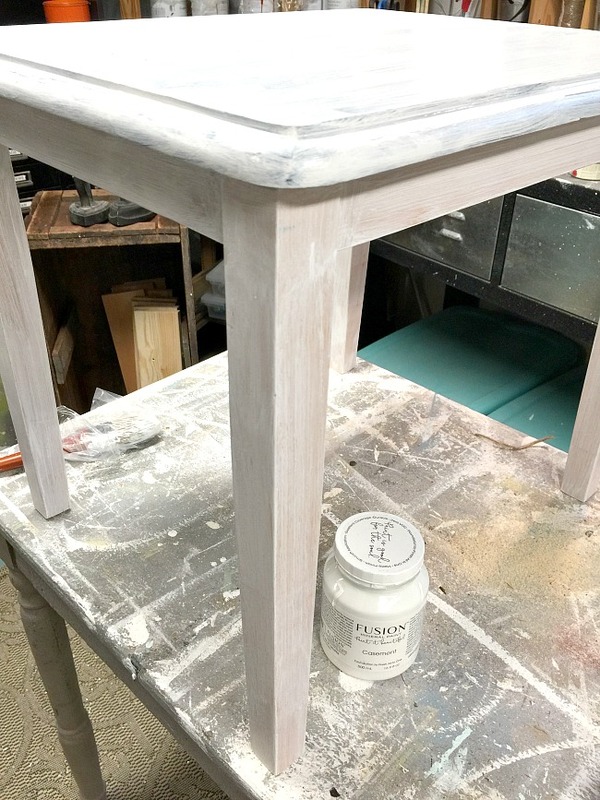 I painted the table white using Fusion Mineral Paint in Casement. 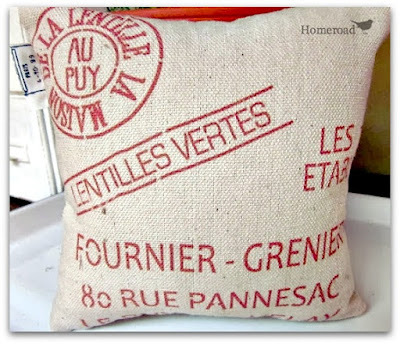 Casement is a beautiful flat white color. Fusion Mineral Paint covered the table in 2 coats, this was coat number 1. 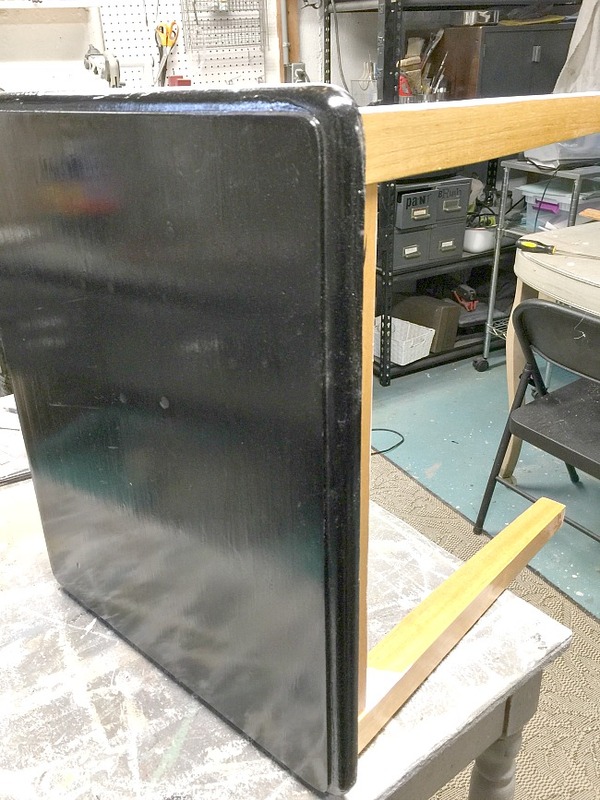 When the table was dry I distressed the edges with sandpaper. 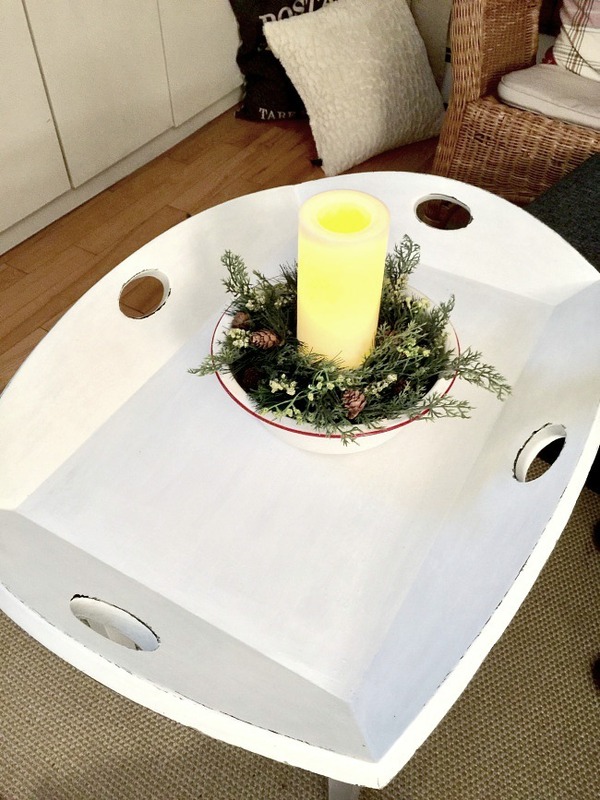 I had an old oversized green tray I was holding on to and I gave it a coat of the same white paint, once again distressing the edges. The table fit beautifully right on top of the small painted table. 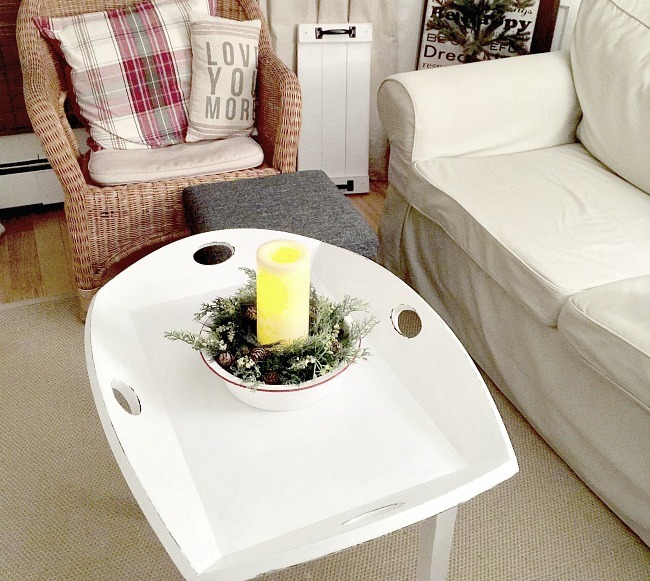 The tray can be removed if needed and the small table can be moved to use as an end table. Think of all the changeable options this gives me! 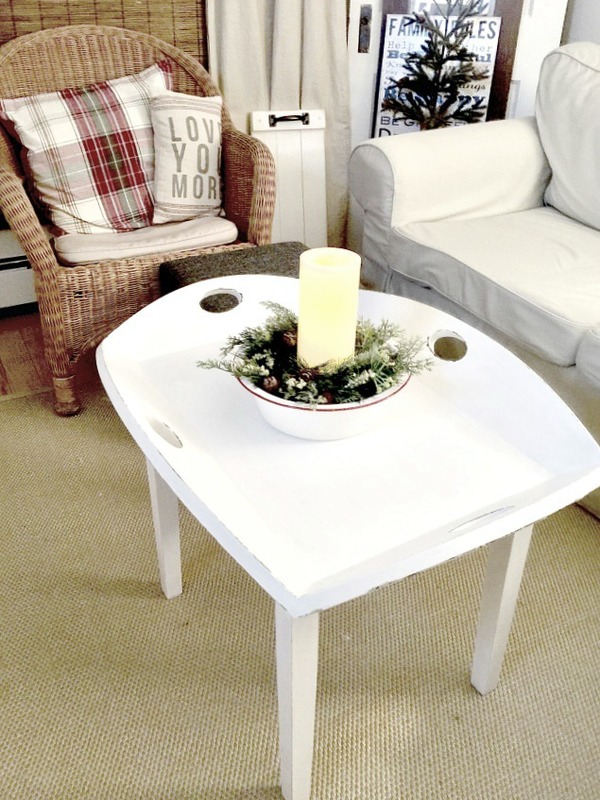 I made the rustic wooden tray and use it all the time with my laptop and the small grey foot stool is so my husband doesn't use the coffee table. See below for my affiliate link. I love that idea! I did the same thing recently. Took my big square coffee table to the consignment shop and got a much cheaper round red ottoman (Target) with storage inside. I was tripping over that big table when I was wearing my boot. 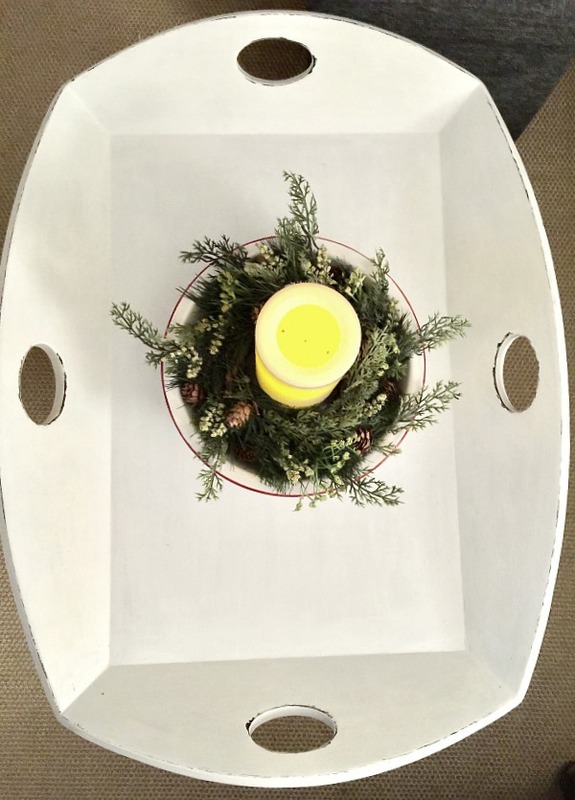 Great idea for the tray. Nothing will fall off it. I love those ottomans with storage inside Brenda. I bet it looks gorgeous. The tray works great for me but let's see how long it lasts LOL Happy New Year! 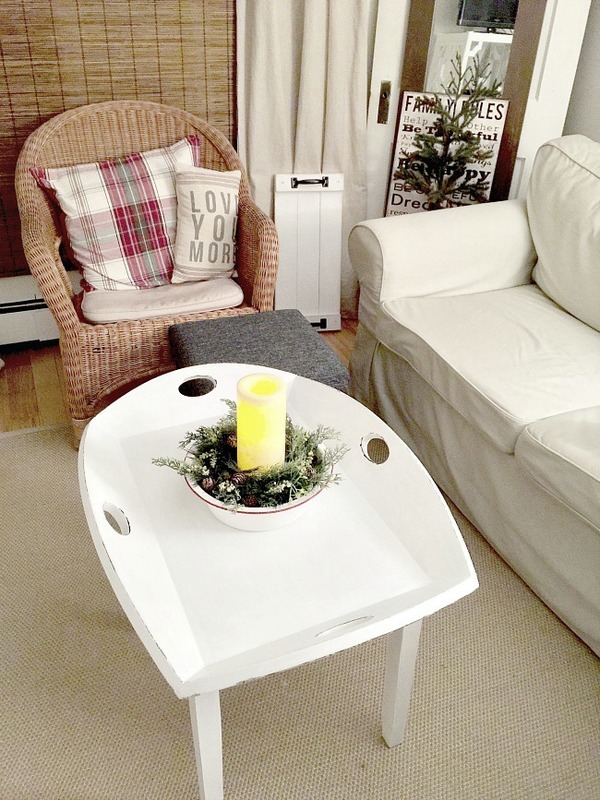 I'm ready to ditch my coffee table too, but I think I need to just update it first and see if I like it more. 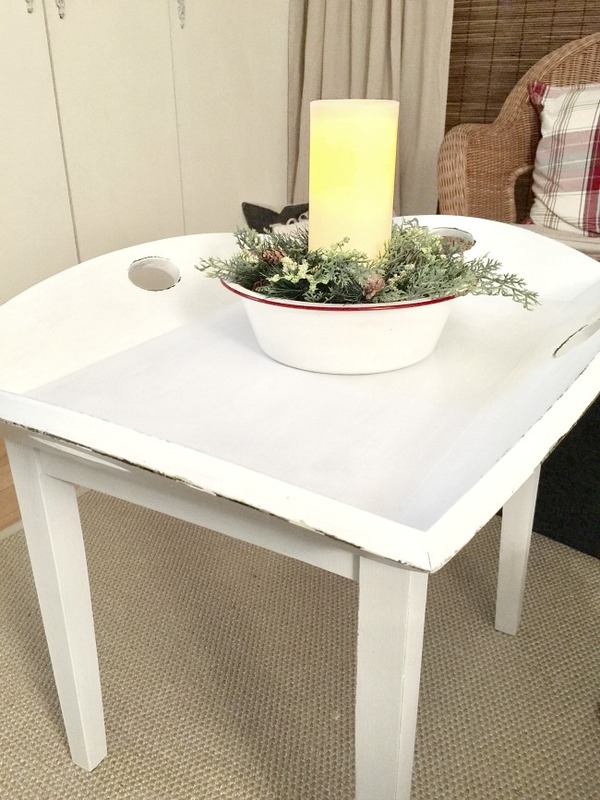 I love your idea of using a tray on the table that can be removed - what a great upcycle. 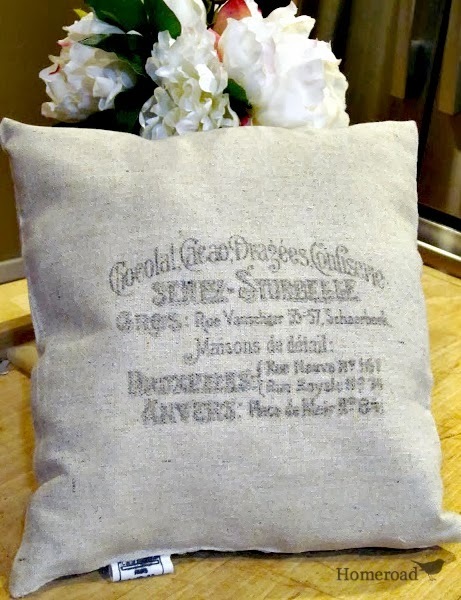 Thanks for linking up at Talk of the Town, Susan! Thanks so much Angie. Not sure how long it is going to last in here... my daughter already has her eye on it. Girls are getting their own places and they love to shop my house :) Happy New Year! That is the perfect update and reuse, Susan! It looks fantastic in your home.